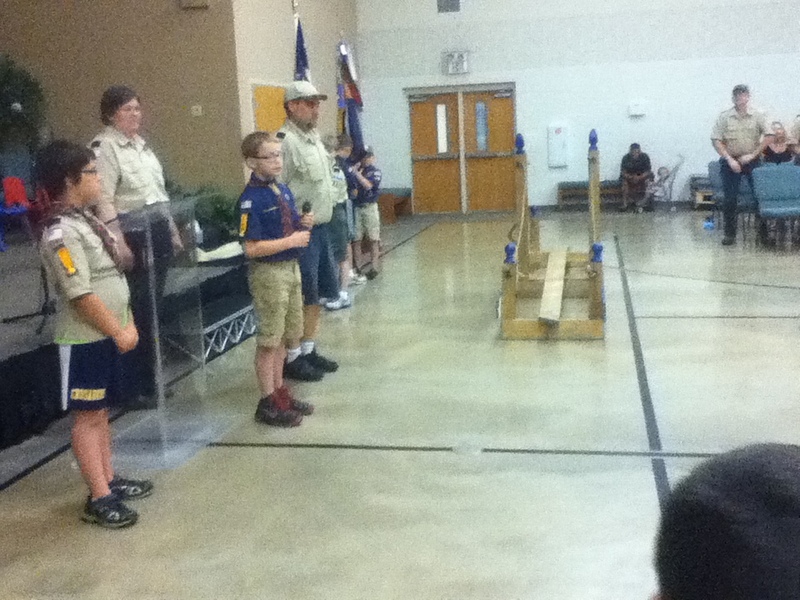 S is 9 years old and a Bear scout. He has been really enjoying his den meetings as they are a small group of boys where they get to do lots of hands-on activities. 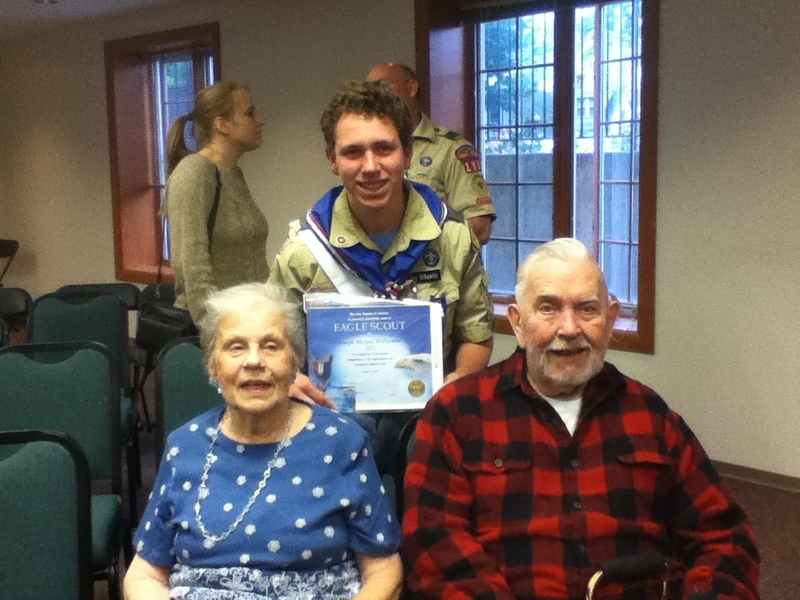 He doesn’t usually like the pack meetings as they talk a lot and he has to just sit, listen, and watch himself and others in his pack get awards. Boring! Yesterday he had shooting 4H and a pack meeting. He loves the shooting 4H because they shoot guns and bow and arrows. What’s not to love? Anyway, shooting 4H was getting ready for elections so it was a “no shooting” night. 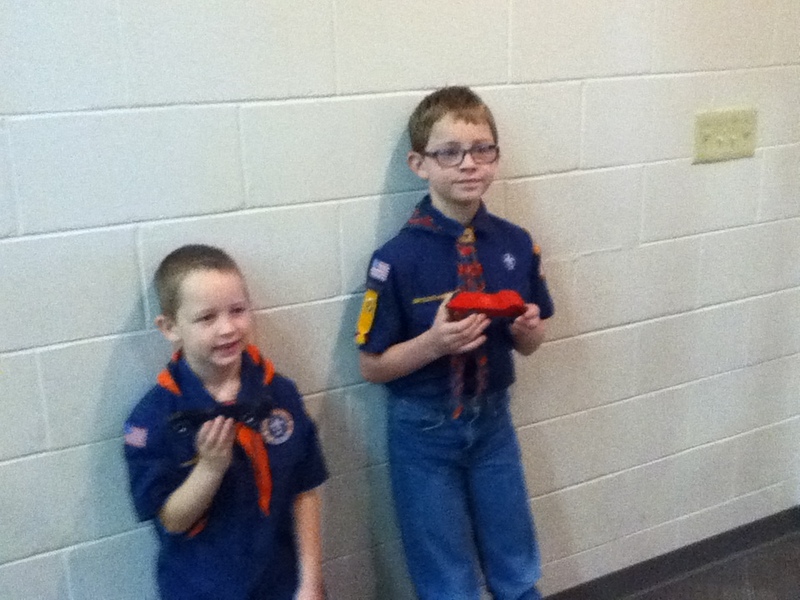 S rationalized that if there was no shooting he wouldn’t mind missing the meeting and doing the Cub Scout pack meeting instead. Boy was he ever glad! 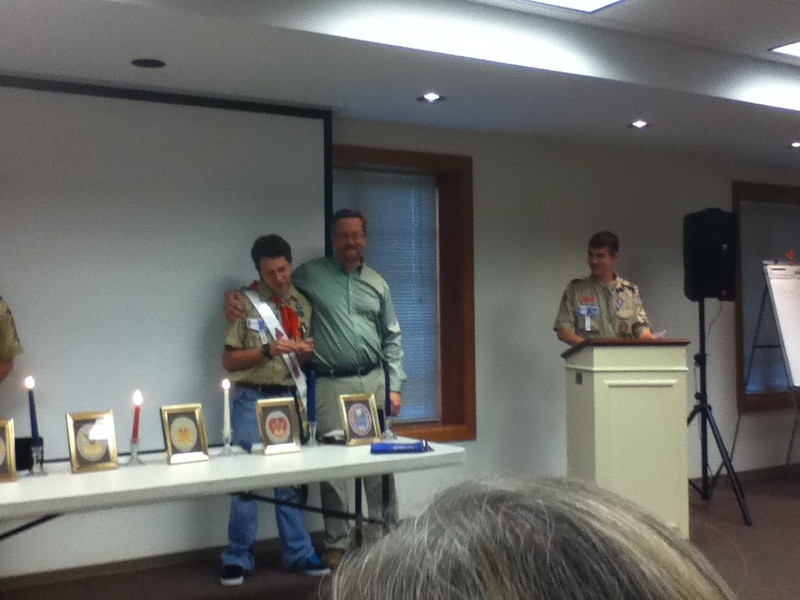 They had a Boy Scout Scoutmaster from a nearby troop come to the meeting to do a knot-tying demonstration. S loved it! He mastered all of the knots that they taught. 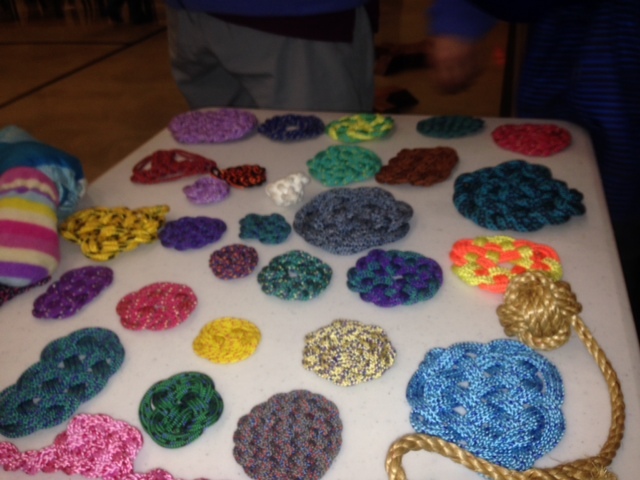 He helped the kids and even some adults to learn to tie the knots when he had each mastered. 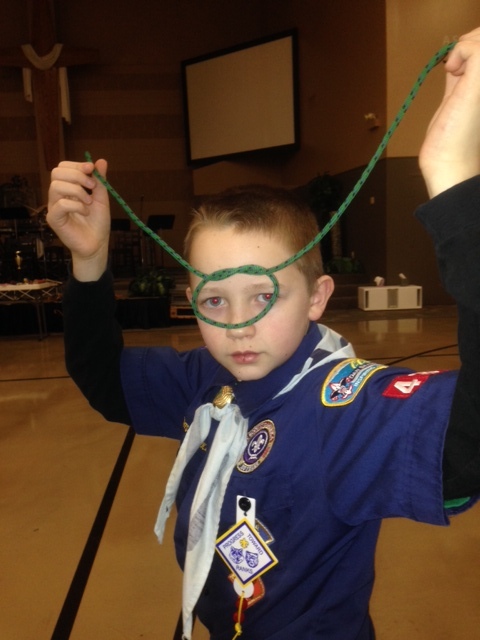 The Scoutmaster also had a goodie bag that each of the kids got to pick out of that had parachute cord “key chains”. They aren’t really key chains, but if I had one that is what I would use it for 🙂 He showed the boys different things they could make with the parachute cord too. 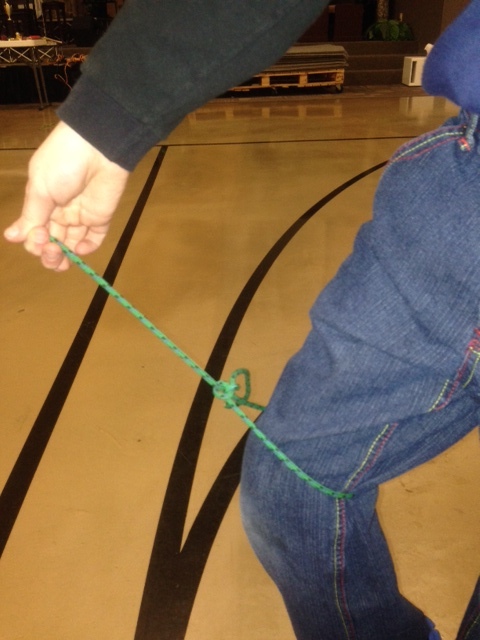 S loved that it was hands-on and that he can use these knots when he moves up to Boy Scouts which is in “just 2 years”. It was a lot of fun. 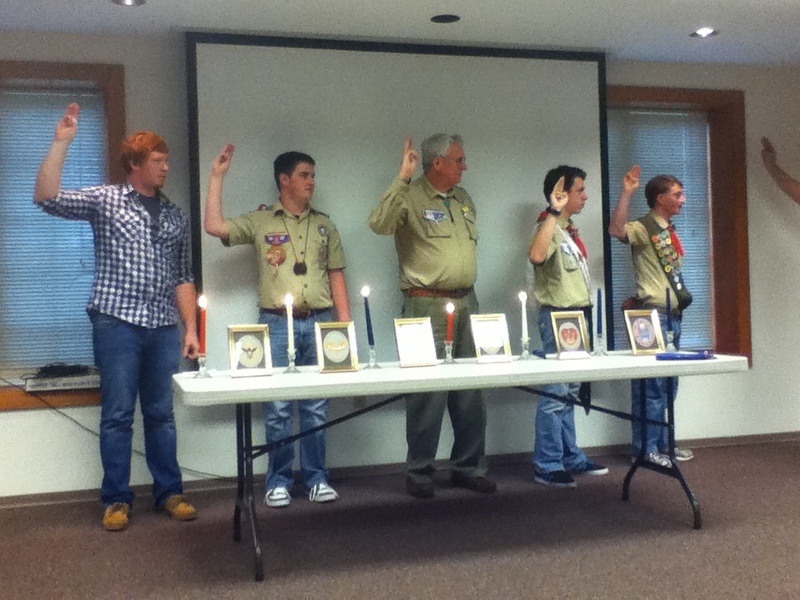 Here are some pictures from the meeting. 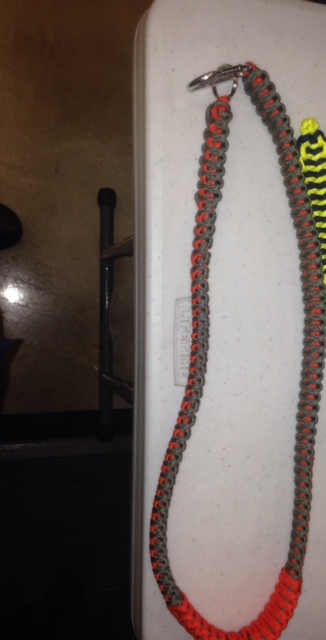 Paracord belt with double carabiner latch. S at the beginning of knot tying lesson. Yesterday at about noon, I picked my 3 big boys up from their week away at Boy Scout summer camp! I hadn’t seen them for 10 days. My sewing retreat was the Thursday through Sunday before. They left on Sunday morning. I got home Sunday about noon. They are so worn out. They came home dirty and hungry, so it must have been a fun trip! I forgot to take pictures, but they looked like they had not slept and were filthy! They said that there was plenty of food. That is good, some years they complain that they just couldn’t get enough to eat. They do have an outpost where you can buy junk food, but they said it wasn’t enough. This year, it was the last week at this camp, so it was no-holds barred on the food. 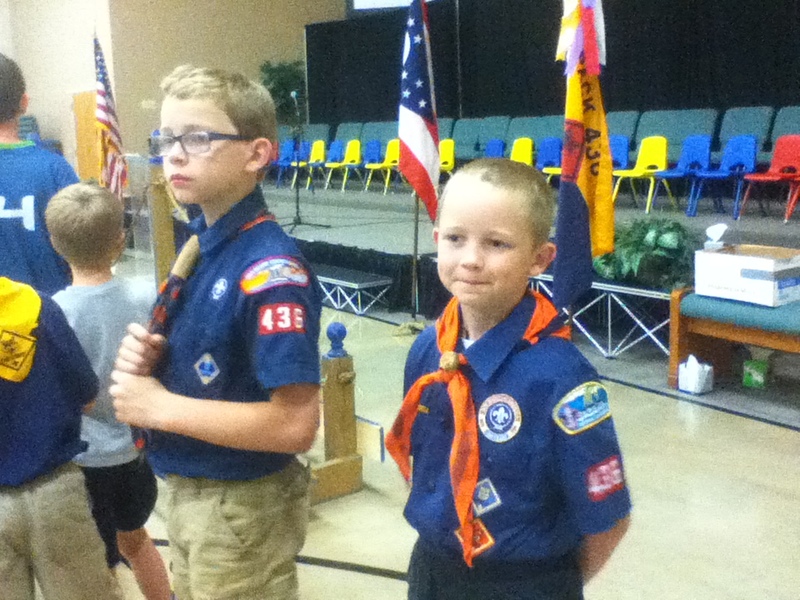 All three boys said that they got their merit badges that they intended to get, but we won’t officially find out until our September meeting. 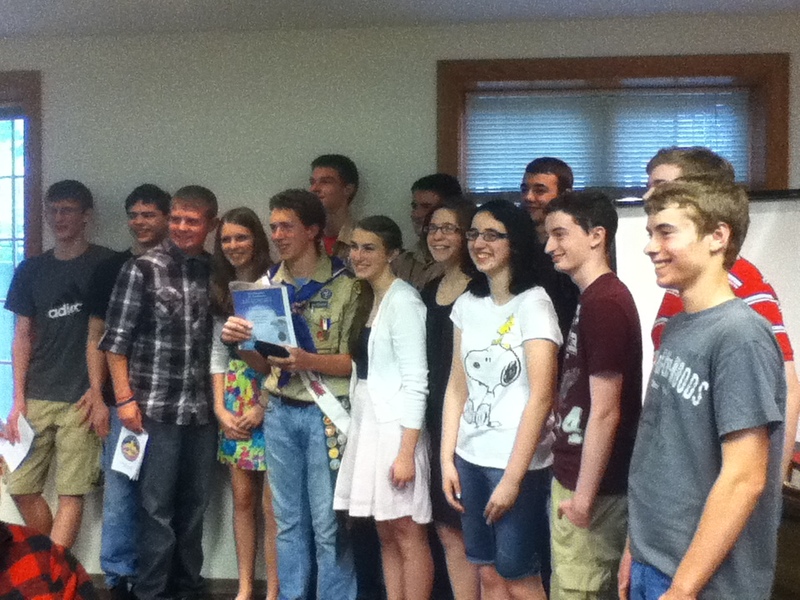 Our troop takes the month of August off! I am so happy. 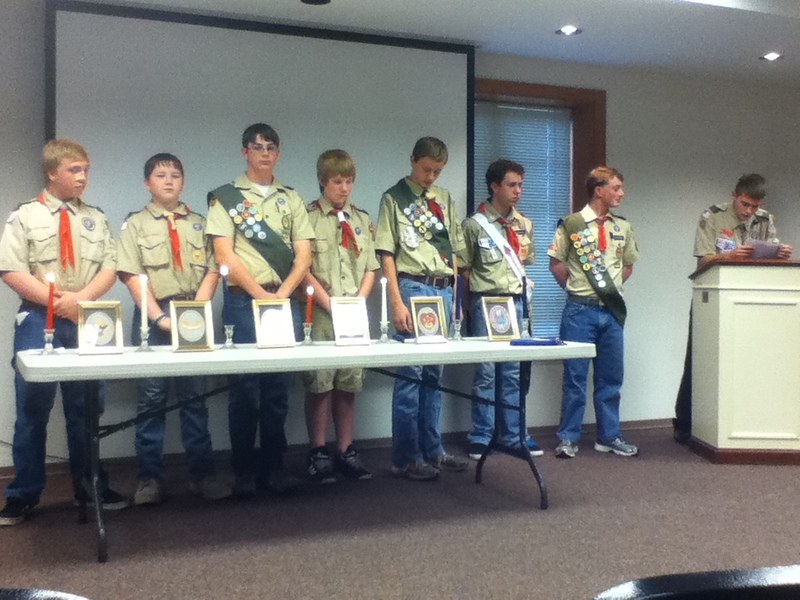 We can get school started for a couple of weeks without Scouts as a distraction. 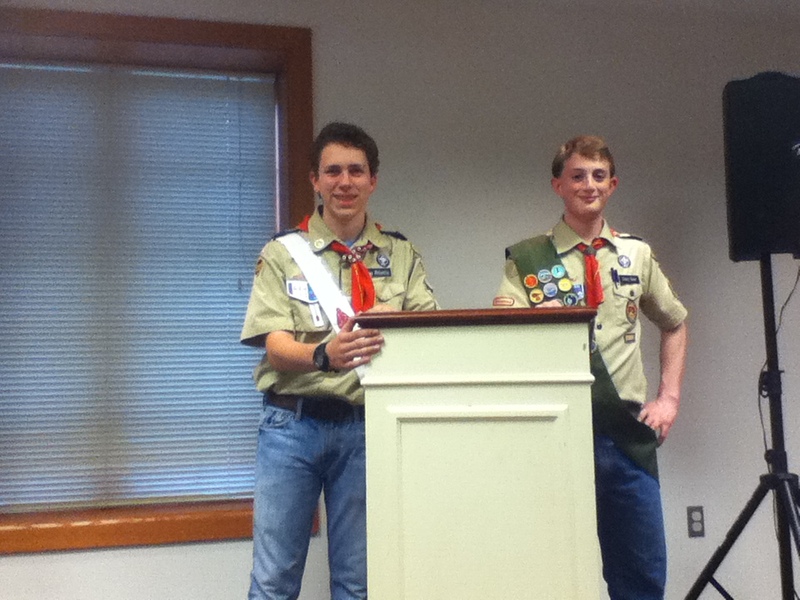 When they got home, each went through their scout stuff and the washing machine began. All showered and ate, and it was just like they never left. The bickering started, the chaos resumed, the rude comments were free-flowing. They of course were TIRED…no patience for the little ones who missed them for the past week and no appreciation for the $900 or so that their hardworking Dad paid for this trip. Sometimes, I wonder if we get anywhere in this journey of parenting. I often think that here we are 16 years into this parenting thing and this is all the farther that we have gotten! Sad at times. My oldest wasn’t the problem yesterday, so there is hope. It was mostly M, the 14-year-old and R, the 13-year-old, so hopefully this is something they will outgrow. I remember J, my 16-year-old being so very tired and grumpy too. On the bright side, they told me that they love my cooking and camp food is nothing like eating at home! All three of the older ones are still sleeping at 9:17 this morning, so maybe they will wake up in a better mood. Let’s hope! 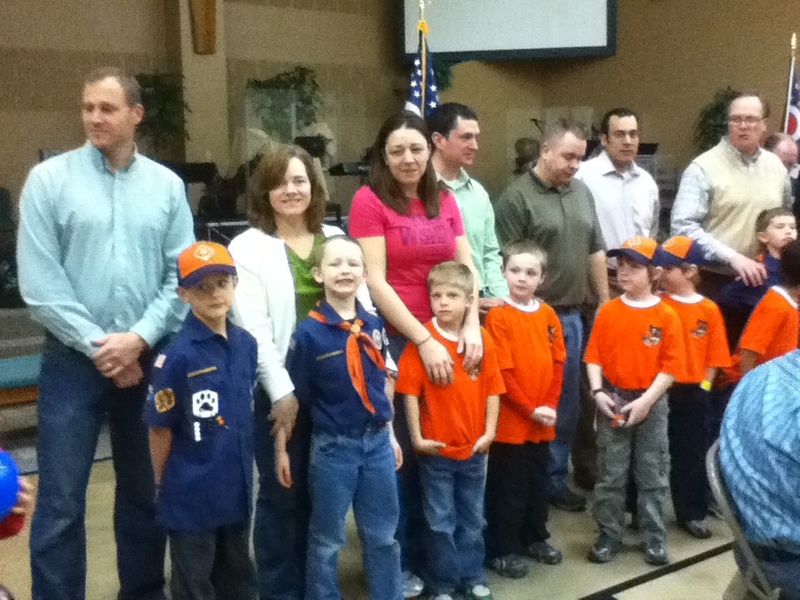 My son S was recently awared his Tiger Cub badge. 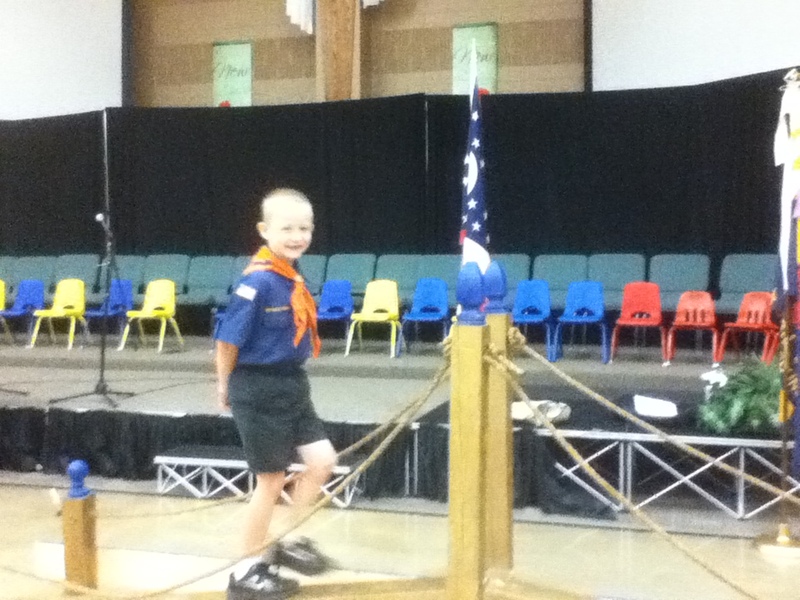 He has really enjoyed being in Scouts this year. 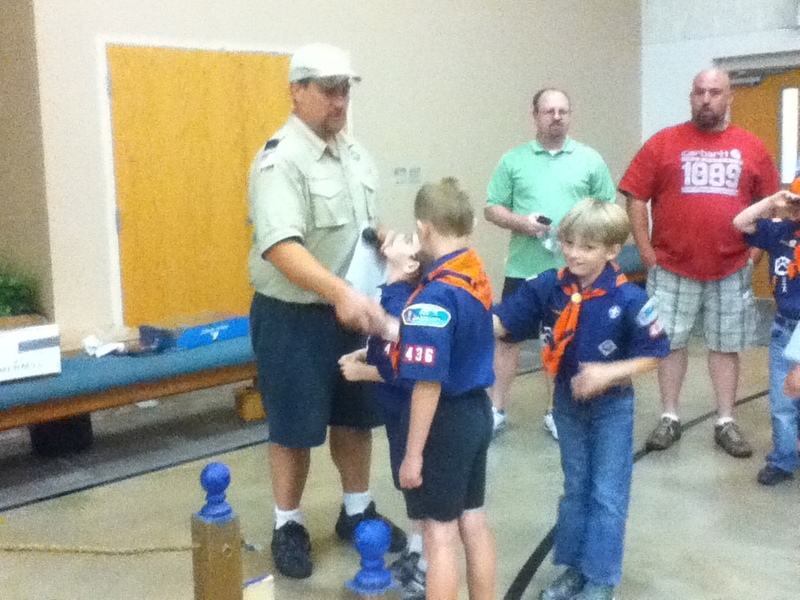 With all of his older brothers doing Scouts, I was hoping he would like it as much as the other boys have liked it. He has really enjoyed the meetings and the Go-See-Its. 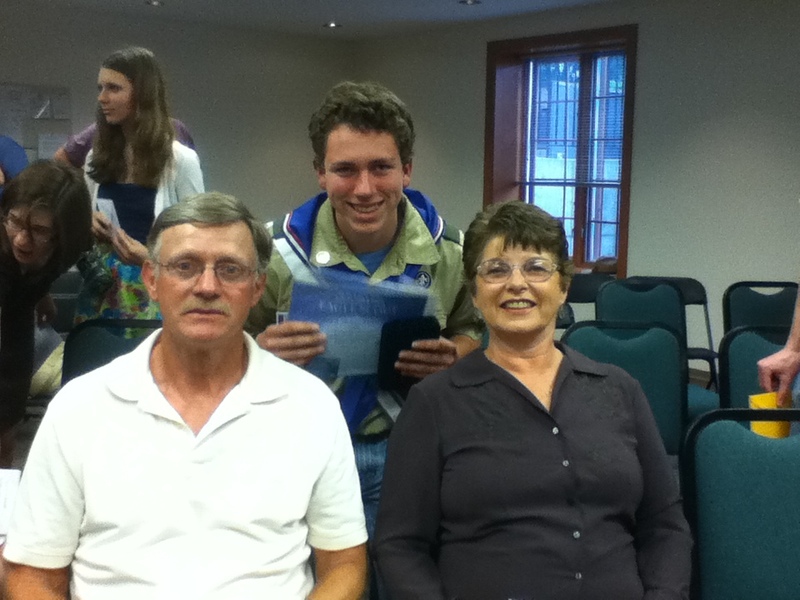 We had the Blue and Gold Banquet, and it was great! There was a nice meal with lasagna, garlic bread sticks, salad, brownies, and fruit punch. They also had some great entertainment. There was a guy with all kinds of snakes doing a show. I didn’t pay much attention to the entertainment because I was on kitchen clean-up duty. 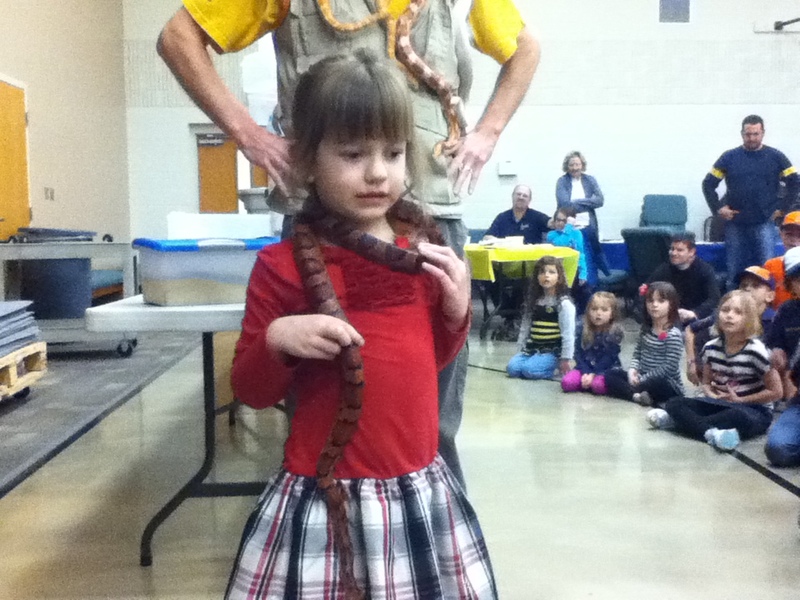 All I know is that my daughter had a corn snake around her neck. All of the Scouts got a chance to hold on to the 15 ft Tiger Reticulated Python if they wanted. My kids said it was an awesome show! A with the corn snake on her... she's not too sure this was a good idea! 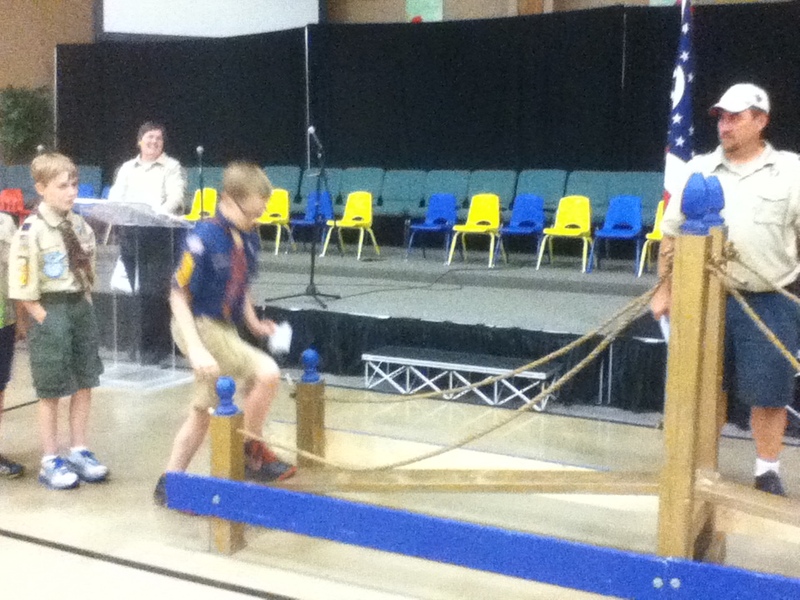 We had the Pinewood Derby this weekend. My 1st year Webelo, T and my Tiger cub S, were in it. It is usually a good time, but our cars are never very fast. We try to let our boys do as much of the work as possible. My husband cuts out the cars, but he lets them sand and paint with spray paint. They enjoy doing this, but they aren’t very detail oriented. They are happy to draw out the design, sand for a couple of minutes and use the can of spray paint. That’s about it! Each year there are a couple of cars that seem to be awfully good for being done by a child. This year, 10 out of about 30 were obviously not done by a child. It is unfortunate. My kids don’t even want to do it next year because they just can’t compete wth these awesome cars. My husband said it was a competition of the fathers, not the kids. The rules weren”t enforced. They are supposed to use the parts in the box and there were obviously rules broken. The only rule that they enforced was the weight. It is a shame. It could be a lot of fun. It seems the more our Pack becomes established, the less fun parts of it become. Maybe it is because I am getting older, maybe it is because it is our 4th and 5th boy doing it. I don’t know, maybe I am just getting tired.